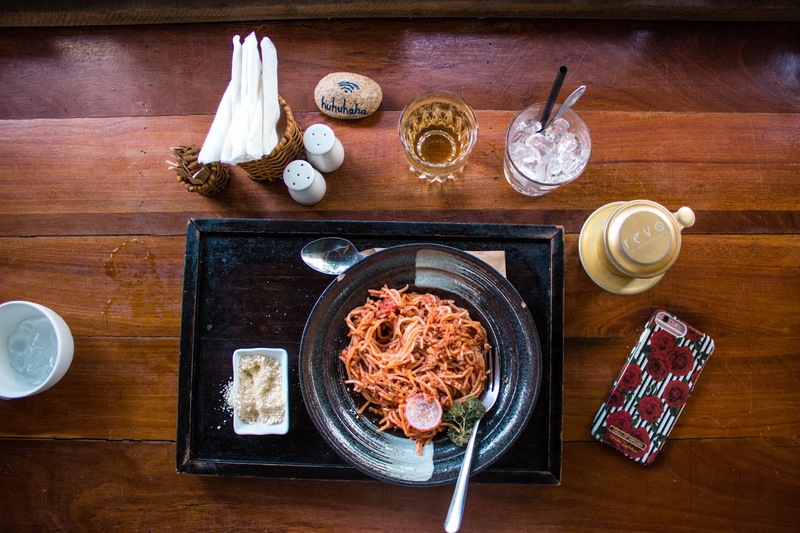 When was the last time you have been to a decent, relaxing cafe? or anywhere other than Starbucks? I am not a coffee person myself, but I always love a sweet, good spot for me to work or to do my readings. During my trip to Nha Trang, I went ahead and searched for some relaxing spot in in the city, which I have come across this Rainforest Cafe. 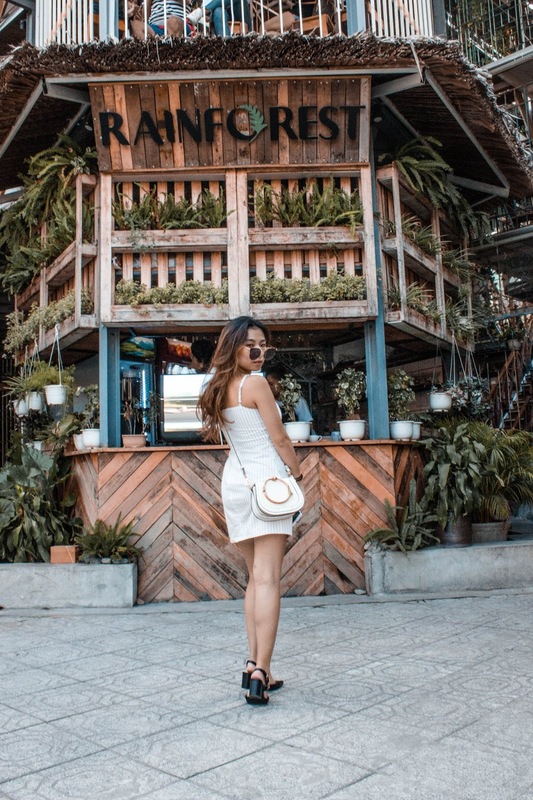 When I travel, I tend to search for spots that are interesting and unique, instead of being all touristy (unless it's like the Eiffel Tower), this is also the reason why I decided to spend one of my afternoons exploring this famous cafe in Nha Trang. 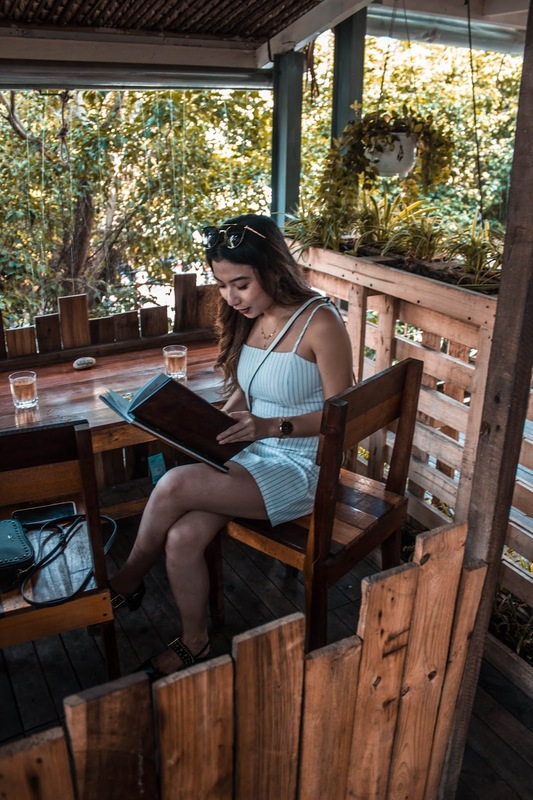 Longing for a nice cup of Vietnamese coffee, it is some excitements to enjoy an amazing afternoon in a cafe, since I haven't gotten the chance to get my hands on one during my trip. This excitement is then followed by amusement and a rush of exhilaration as I entered the Rainforest Cafe. I have been to a fair amount of cafes, but this is the one that truly blows my mind. From the outside, you can tell that the cafe isn't big, but very tall and full of greens which already gives you that rainforest vibe. 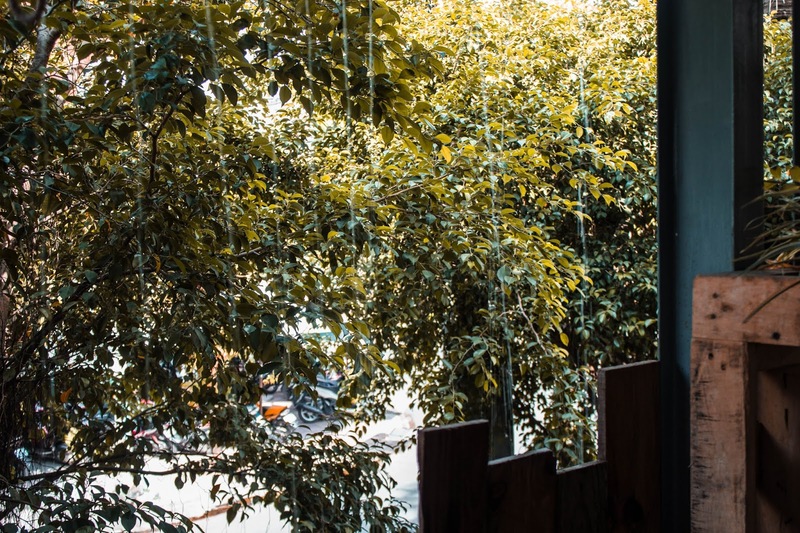 But this isn't all of it: when I stepped in, I was surrounded by the sounds of rain falling and birds chirping, which is from an artificial rainfall fountain they made right outside the cafe; the cafe is semi-open so you can hear the rainfall very clearly. I pick the spot on the second floor near the "window", watching the artificial rainfall, that somehow makes me relax in a way I couldn't describe, which is weird because I never am a rain person. I couldn't really sit still in this cafe because everything is so intriguing; I have to say, the design of this Rainforest Cafe is top-notch! 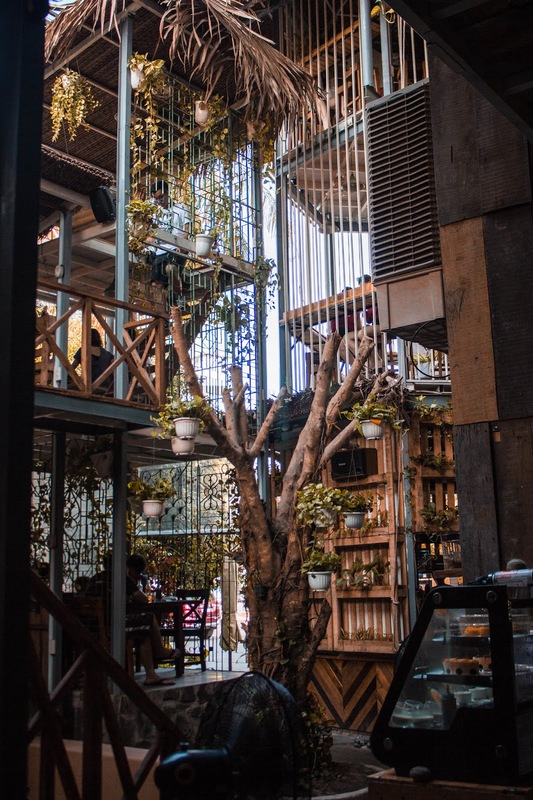 The cafe consists of three levels, the ground floor has more of an outdoor garden vibe, with tree trunks and vines around tables, imagine Alice in a wonderland but takes place in a beautiful rainforest. On the second floor, there are separate cubicles of tables by the windows, also an indoor area if you really need the AC (at this case I do not recommend because you will miss out everything). 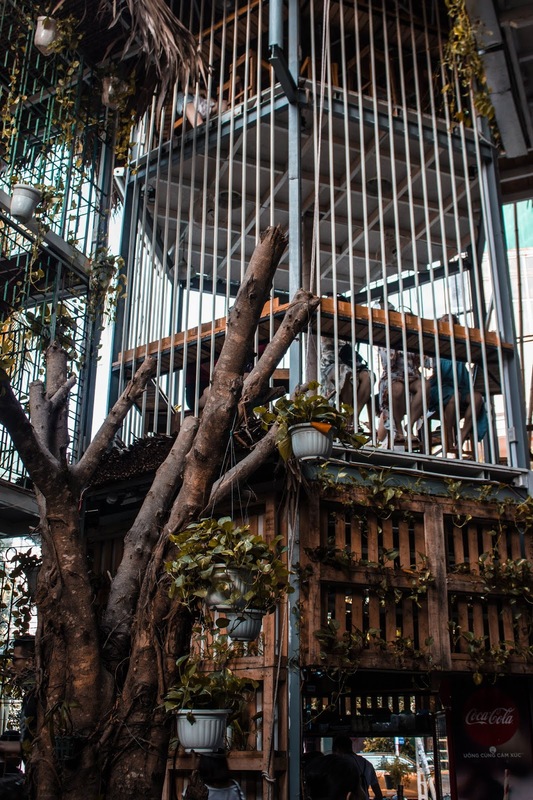 There is an area designed as a birdcage (part of the second and third floor), where people could sit inside at the bar table to enjoy their coffee/meal. 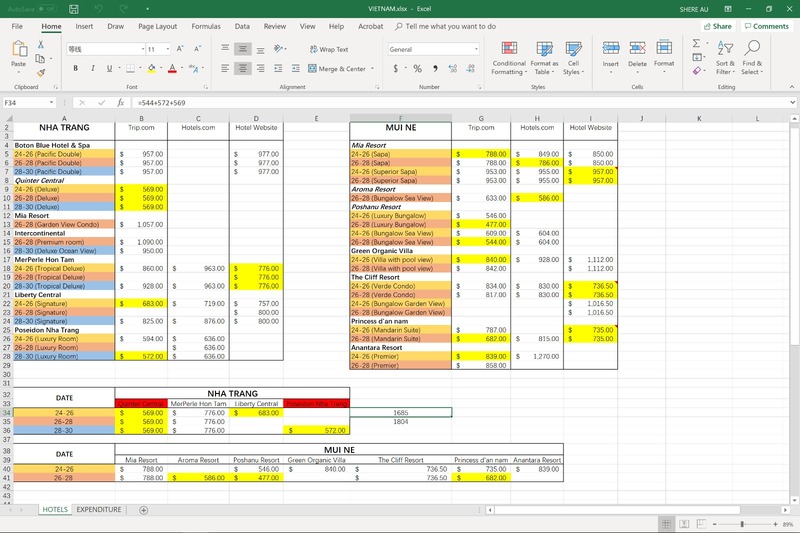 This is a beautiful design for guests that come alone and want to enjoy the view and do their work at the same time. The most interesting part has to be the slide connecting the second floor and ground floor, yep, you could slide down straight from the second floor if you want! They also have a hammock on the second floor, which replaces the floor so you could actually see what's happening downstairs (I would recommend not to wear a dress if you want to sleep on this hammock). All of these elements kept me occupied for a long while in the cafe, apart from enjoying this rainforest vibe, doing a photo shoot is a MUST! What surprises me, even more, is that apart from the incredible settings, this cafe has a wide selection of food and cuisines in high quality but only for a small price. There were so many choices on the menu it took me at least 15 minutes to make up my mind. In the end, we ordered a bolognese spaghetti, Vietnamese spring roll, matcha pancakes, french toast and a cup of Vietnamese coffee. This was our lunch and I have never been so full for lunch, but I was shocked at the price in the end. All that we have ordered for two, was only a total of 15 USD. Yep, you heard me right, that means less than 8 USD per person. Compared to the cafes in Hong Kong, a beautiful setting like that with good quality of food and drinks? It would cost around 60 USD, which is 4 times the amount, and people would still be queuing for a seat just for a good photo. Something about Vietnamese coffee worth mentioning here, it is a must-drink item in Vietnam, forget about the pho, forget about the coconut, go straight for the Vietnamese coffee! You can always get pho in everywhere, its quality is replicable and seriously it is nothing special if you ask a Vietnamese about pho. But Vietnamese coffee is something you can never forget, and something you cannot get in other countries unless someone brought it from Vietnam. If you know me, I am always the tea-person instead of coffee, but Vietnamese coffee has been life-changing for a tea-person. Do not get me wrong, I still am a tea person, but for coffee, I only drink Vietnamese coffee, that's it. So what's so different about Vietnamese coffee that makes a tea person drinks coffee? Let's start with where it comes from and how it is made. Vietnamese coffee is actually made with weasel coffee beans, which is one of the most valuable types of coffee in the world. The coffee beans are extracted and compressed from the waste of weasel after they ingest a specific type of fruits. Vietnamese coffee is special because it has its own "brewing equipment", which is a small specific dripping cup to filter the coffee powder. The coffee will then be dripped into a small cup filled with condensed milk. I tried Vietnamese coffee when I was 13 visiting Vietnam for the first time, since then I have always loved drinking Vietnamese coffee. The flavor is very strong, no matter how many milk or sugar you add in, the strength of the flavor does not change. This tastes nothing like espresso or Americano, or cappuccino; nothing like a regular coffee shop can serve you with. The coffee flavor is very condensed, I would say there isn't much acidity or bitterness, just the taste of coffee itself which makes me like it very much. This cafe is simply mindblowing, and it is safe for me to say that this is the best cafe I have ever been to so far, I wish there are more cafe like this one in the future in different cities. But the fact that they came up with such beautiful conceptualize cafe in Nha Trang, not even the capital of Vietnam, is magical. Especially when there are no cafes like this in Hong Kong, a well-developed city, it is shameful and disappointing. 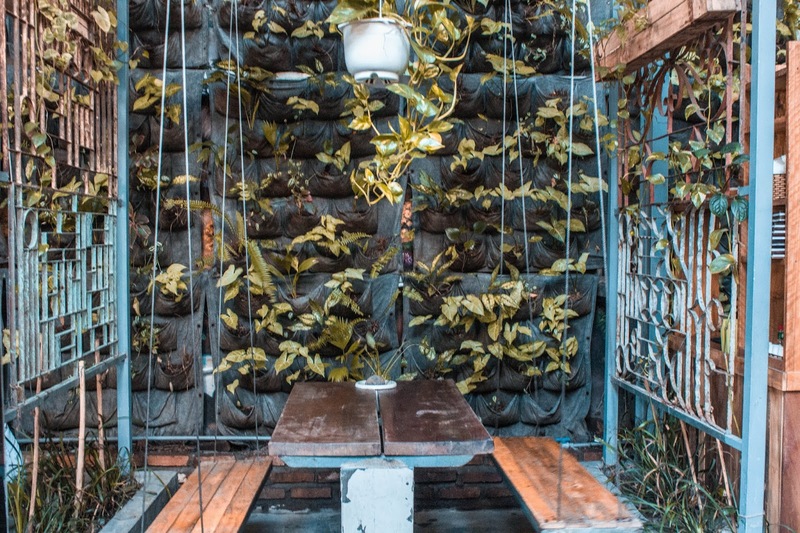 Do you like this cafe in Nha Trang? Or have you ever been to a cafe that is simply mindblowing like this? Share with me so I could visit next time on my next trip! After visiting Thailand for so many times, I start to look for something more unique to do during my trip; as this is my third trip to Phuket, I have already marked my point on most of the famous islands, so what's left to do in Phuket? 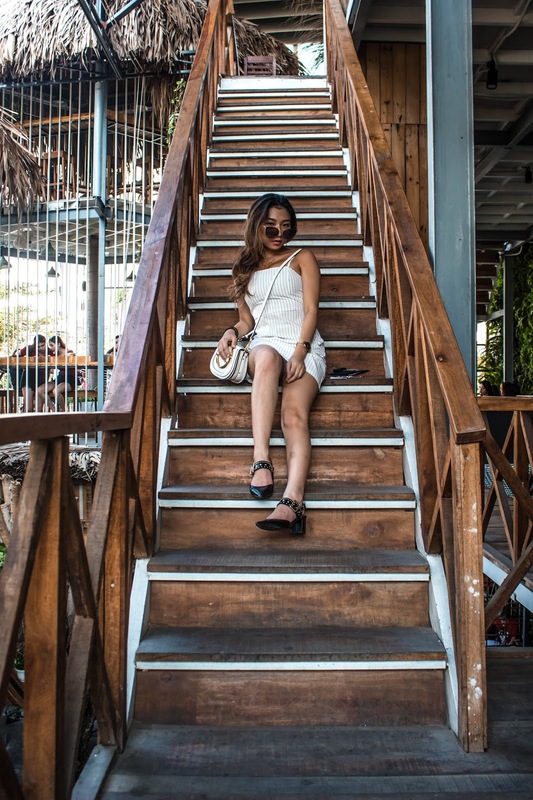 Island-hopping is a must-do activity when you travel to Phuket, and I am a beach and sea-lover, that is why I chose a different way to experience island-hopping this time. I thought about finding some day tours to some smaller islands, mainly want to suntan, snorkel and experience the famous longtail boat on the island, but most of the tours I found stay only a short amount of time on the island, and rush you through all the activities, which I found it pretty annoying. I have joined some similar day tours before, I would say it is pretty worth the price, given that it provides lunch and transportation, as well as bringing you to explore the famous islands and different watersports. 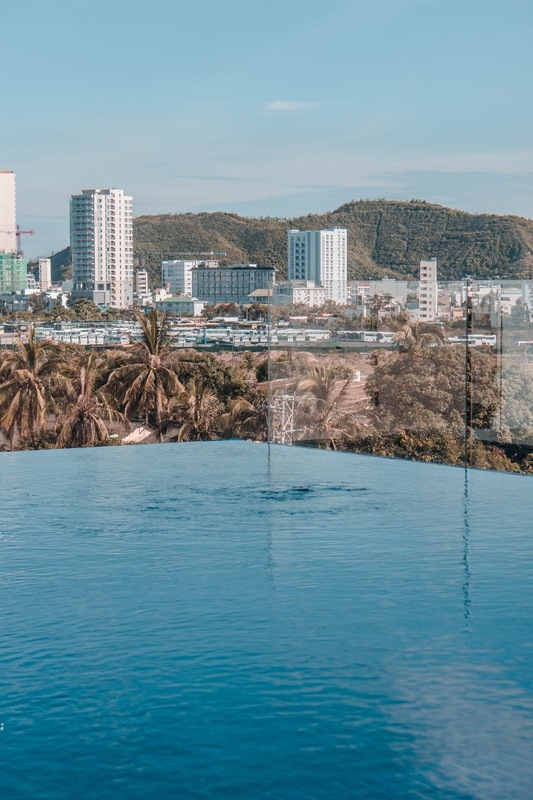 However, Phuket has been heavily overcrowded these years, most of these day tours are packed with people, particularly people from Mainland China. All the day tours start at 8am and end at 3pm; as a result, the beach is packed with all these people which totally ruin the aesthetic as well as my aim of trying to relax on a vacation. These are the reasons that trigger me to choose a yacht tour to experience island-hopping. A yacht tour seems pretty luxurious, right? Well, you bet it is! These yacht tours have been thriving in Phuket to compete with the regular day tours for island-hopping, the main difference would be the quality and the price. I came across this company called The Hype Luxury Boat Club, which caters mainly to yacht parties and island-hopping tours, I found it pretty amusing as you could experience a yacht party while relaxing on different islands at the same time. 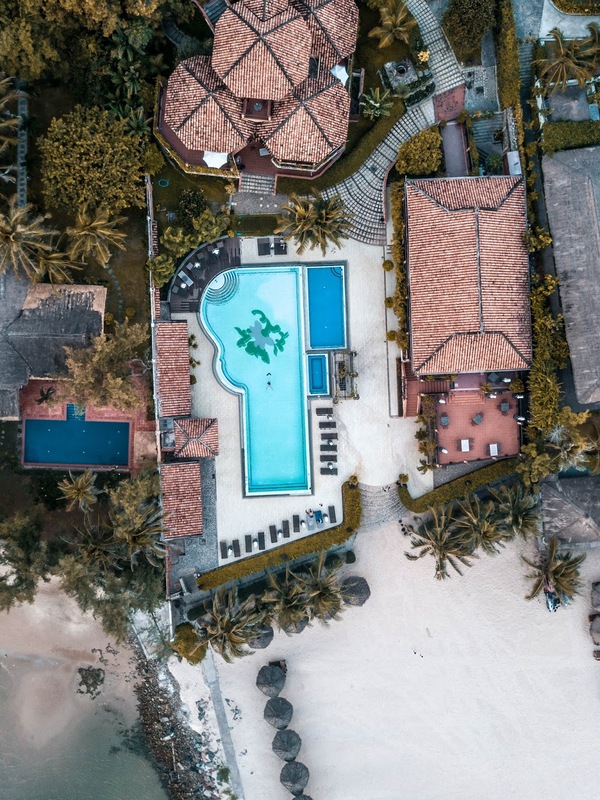 You might have heard of this boat club as it is the boat club Revolve used to do their tours in France, other than France, Phuket is the only other destination they provide service. As I have never been on a yacht before (only been on a charter) and I am in the mood for some parties, this is exactly what I have been looking for! As the tour combines both yacht party and island-hopping, most of the people on board are quite young, hence it is very easy to have fun with each other, this is one thing I love about their tour. But of course, it totally depends on your luck whether the people on board are party animals or whether they are approachable after all the tour is open to the public so anyone can join. The yacht is pretty broad and spacious, the basement will be the toilet, the main level contains daybeds and suntanning net at the front, the second level contains some beanbags for you to relax. I love the net very much, as I could suntan and enjoy the sea view at the same time, it is also a perfect Instagrammable spot for me to create content. For the daybed, it is quite cozy as they have covered it with towels, there also is a removable table and storage for you to put your food and drinks, which is extremely thoughtful. The food on board is AMAZING (of course, consider the amount you paid for the tour), at least it is way better than the food you could get in a day tour, it has sushi, salad, rice, and dessert. Drinks are free to refill so you could order any drinks (except alcohol) at any time, they also give you free cocktails as well. After lunchtime, the table is removed so you could lay flat completely on the bed to take a nap or relax. The first stop is Coral Island, it is just a pretty basic island where you could go suntanning or take a dip in the sea, there are no watersports or anything you could do on the island, it is a very small island. The weather wasn't that great that day, so the view is not as beautiful. I would say this is not the best island you could visit in Phuket, especially if this is your first time to Phuket. During that time, there are a lot of people on the island, mainly from the other day tours. The sand isn't exactly soft or clean, there are garbages on the beach which is the only thing I hate about. Though I managed to get a few great shots on this island and get a nice suntan (the sun isn't very strong but I still got very tan). After an hour and a half, we are on the boat again heading to Racha Island. During the sail, the DJ plays some party music for people to dance, if you are lucky enough to be in a young crowd, it should have a pretty good vibe. The next island will be Racha Island, compared to Coral Island, this island is so much better. When we arrived on Racha Island, it was about 3-4 pm, most of the people were leaving because it is the time which the day tour usually ends. This is one of the reasons I love about this yacht tour is because it lasts very long and finishes later than most of the tours, this is also one of the reasons why I did not have much time to relax and take photos in the hotel I was staying in, as mentioned in the previous post. Racha Island is absolutely stunning, with not many people left on the island, I was finally able to enjoy the view and the calmness of the sea. There are many beautiful rocks on Racha Island so we decided to go rock climbing, I suggest you could do the same as the view up there is captivating. The water around Racha Island is very clean with different shades of blue, which is perfect for snorkeling. You could even spot the fishes swimming just by looking at the water, it is that crystal clear! 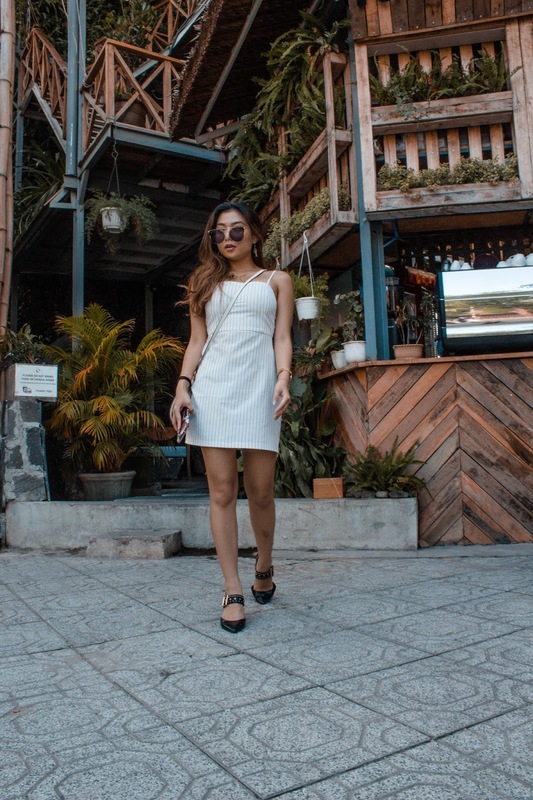 This is my first yacht tour for island hopping, but I would definitely do it all over again if I ever visit Phuket again. The price for the yacht tour is around 90 USD (VIP package that includes day bed and transfers), the price is not the cheapest for day tour in Thailand especially its living cost is pretty low, but I would say it is still worth the price, given the quality and the experience is 100% better than the regular day tours you could get. I purchase the package on the app KLOOK, it is way cheaper than the official website which includes free transfer as well. If you are interested in booking a yacht tour like this in Phuket, feel free to comment or reach out to me if you have any inquiries. Have you been to a yacht like this or any yacht tours for island hopping? What other islands have you been to that have blown your mind? Tell me all about it!